Click here to view or download the PDF for this SDS. 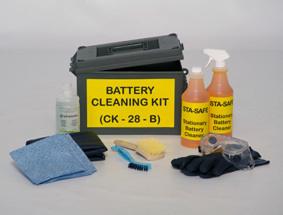 Kit containing personal safety wear and tools to safely and effectively neutralize stationary power batteries. 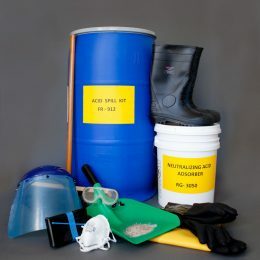 Kit enclosed in 30 gallon poly drum with factory seal contains personal safety wear, clean-up equipment and Neutralizing Acid Adsorber™ for safely and effectively responding to incidental acid spills.